Let me start off by saying that I never intended on starting a collection of enamel pins-- my first neat one was one I received in a basket of winnings from Goth Gardener's spring giveaway. 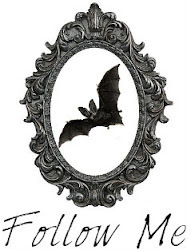 It was a little bunny bat. That wasn't enough to start me down this path, though. I'd have to say that I really started thinking about them more often after my own adventure in getting the logo for my shop manufactured into a pin, and from there the collection started looking like the beginnings of an actual collection as I added from a few different sources. 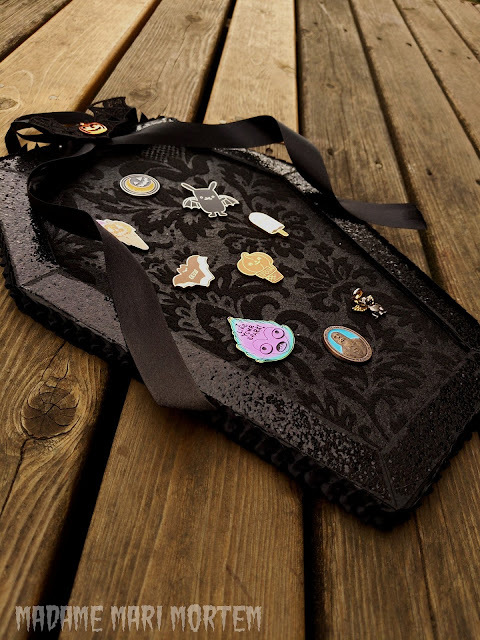 My latest one was the catalyst in thinking I needed some way to display this small but neat collection of pins: one I got as a part of a trade from The Asylum Countess. 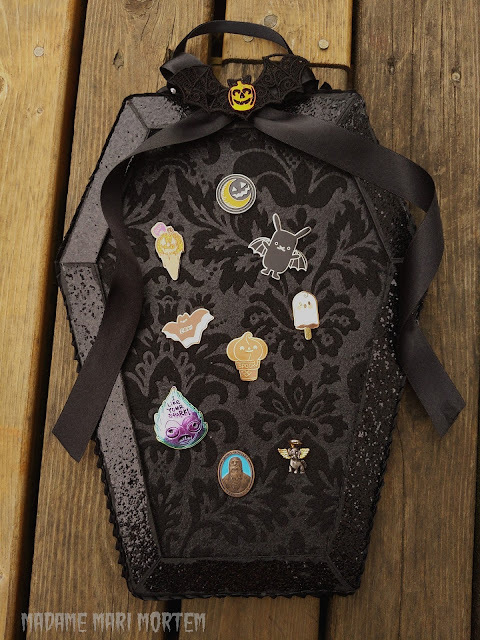 I briefly searched for inspiration and fell in love with coffin pin boards, but March hasn't exactly been kind in terms of my finances and it made the $30 not including shipping for one of those a bit out of reach. Cardboard with enough flat uncreased surface to make the size of board you want. Since I too buy plenty of things on Amazon (because I'm a darn hermit), I had plenty to choose from. Reduce, reuse, recycle! Especially all those amazon boxes... yesh. A ribbon of your choosing that is at least 5/8th" thick for the border. I had this ruched satin ribbon that I found on sale for $1.00 a 3yrd spool and I did not end up using it all. Assorted pieces for embellishment-- I used what I had on hand. 1.) First thing to do is establish the height and width of your coffin. We're going to create a pattern: I wanted one sheet of felt to be enough so I traced out the sheet onto the poster board to create a work area so I knew not to go over it. Then I divided that shape down the middle creating a vertical anchor line. Next, establish your horizontal anchor line closer to the top than the bottom. It should look like a box with a cross, not an evenly divided one-- these form the basis for a toe-pincher coffin shape. 2.) Next, fine tune the shape into a coffin using your anchors. Pay no attention to my numbers; I wanted to mark in the measurements I was using but I kept subtracting points to make it "perfect". Remember that whatever you do to one side, you must do with the other or it will end up really janky looking in a jiffy. One thing that's for certain to find that perfect shape, your top will be slightly larger than your bottom, and the middle the widest part. 3.) 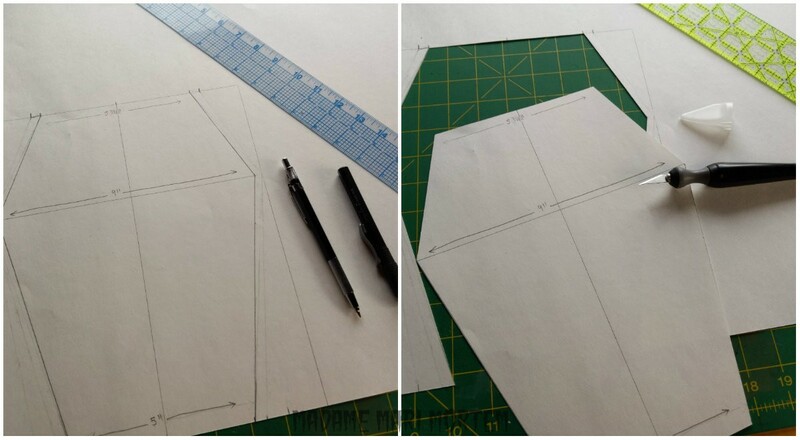 Once you find your shape "sweet spot", it's time to carefully cut out your first pattern piece! 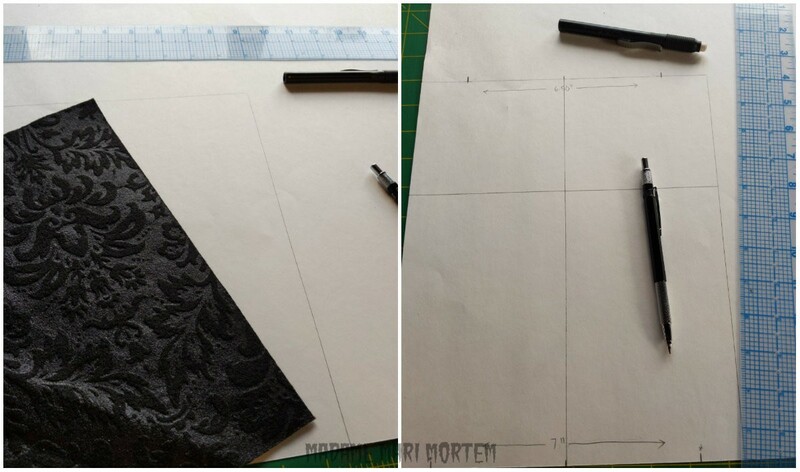 If you don't have a steady hand, definitely use a ruler in conjunction with your hobby knife. 4.) Now take that pattern and trace out a second one. Cut that out too. 5.) 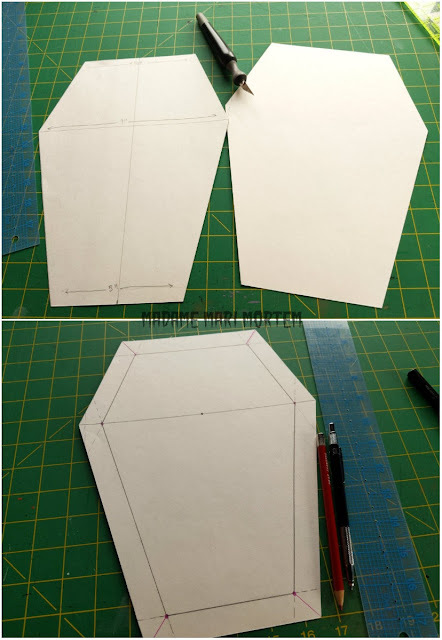 With a ruler (ideally with a grid), mark out a border on the second coffin you just cut out, over lapping your lines at first. I chose 3/4 inch for the size of my border. Then you will draw "mitered" joints, meeting each corner points-- I drew them in red pencil, middle barely showed up over top the black pencil line. 6.) Now you will cut that mitered border out. Make sure to label your joints, as it's super easy to lose track which side is up, down, left or right. 7.) 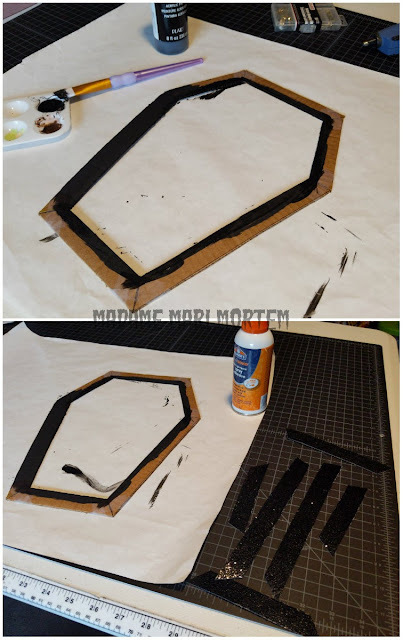 You should now have 2 coffin pieces (one large one small) and six border pieces. Your "pattern" is complete. 8.) Next cut out the big coffin and your border pattern pieces from the cardboard using box cutters. I find that it's easiest to cut the longer edges with the box cutter, and the smaller edges with scissors. Remember to transfer your labels too! 9.) Tape your border pieces together according to your labels. 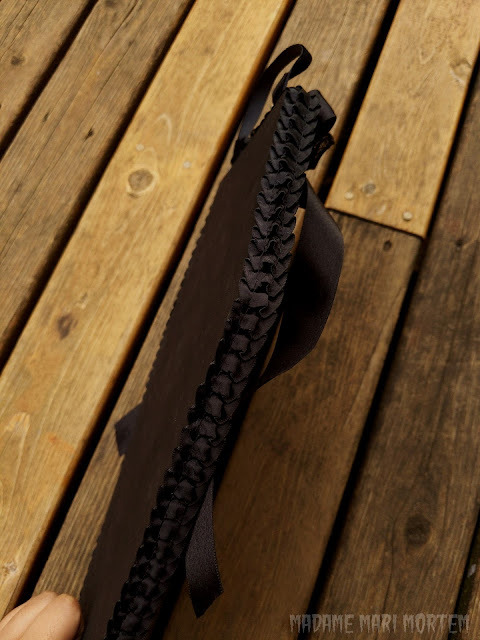 Now you should have a border and a coffin base. 10.) 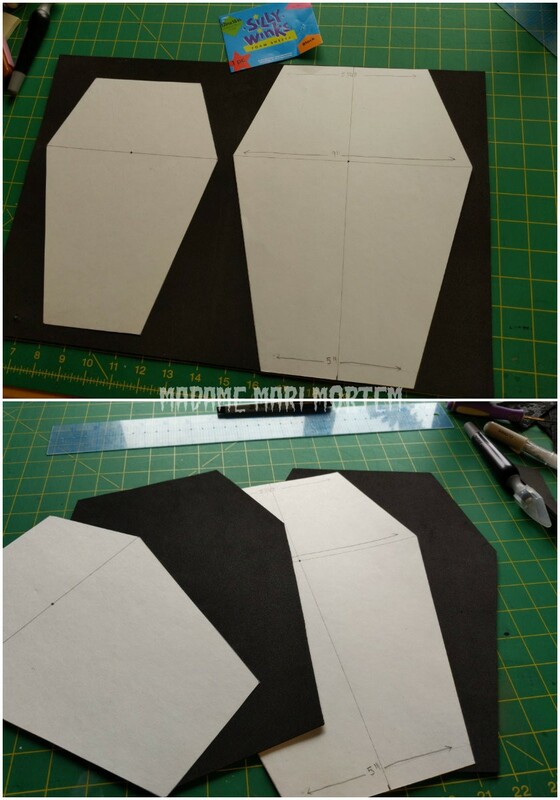 With the smaller coffin pattern piece, cut into the felt with a "seam allowance" that doesn't go all the way to the size of the larger piece but about half way between the two sizes-- mine ended up being roughly 3/8th's of an inch "seam allowance" around the small piece. 11.) 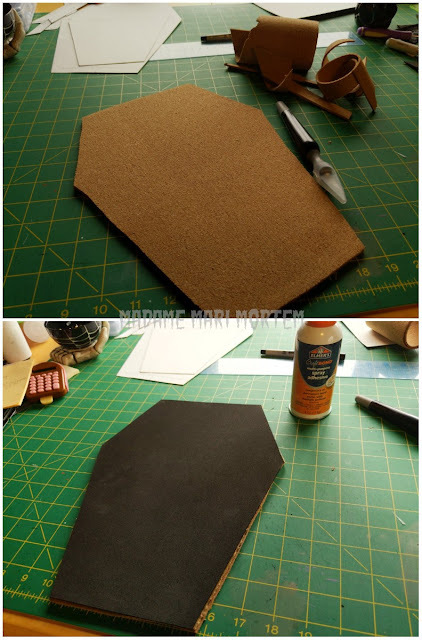 Next cut your craft foam pieces. One smaller coffin with your seam allowance to match the felt, and one large as is-- no seam allowance! 12.) With your paints and brush, you'll want to paint over the entire border piece. I didn't, focusing only on the exposed parts of the border and I ended up regretting that decision. You're half way done! Pat yourself on the back if you've got this far. 13.) Cut out your border pattern from the scrapbook paper, so that you'll now have another set of border pieces; these are for aesthetics. Transfer your assembly markings to these too, on the bottom side-- remember to reverse cut so that the right side of your pattern pieces ends up down on your scrapbook paper. This ensures it all cuts out right side up. 14.) Armed with your spray adhesive and your aesthetic border pieces, spray one side you decide will now be the "front side" of your board. 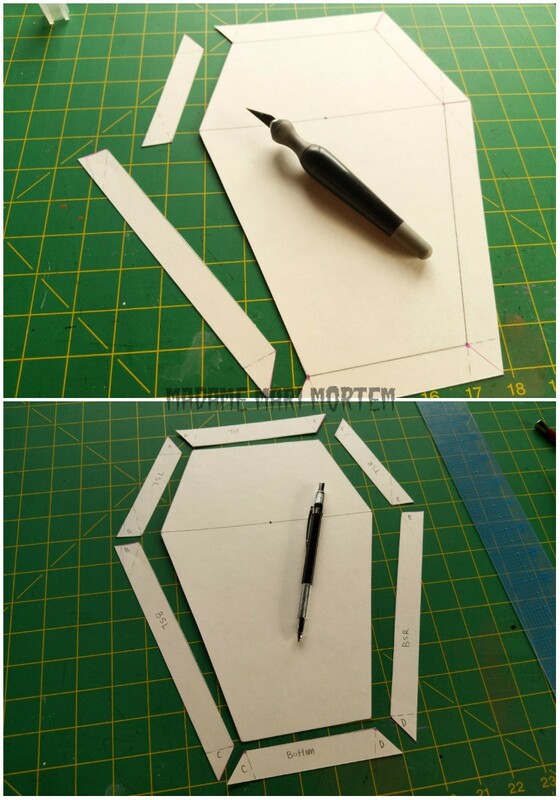 Attach your aesthetic border pieces to the cardboard frame according to your markings. You should now have a hefty feeling border frame with a pretty front side. 15.) Next, with those two smaller with seam allowanced coffin felt and foam pieces, you're going to glue them to the back side of the frame. 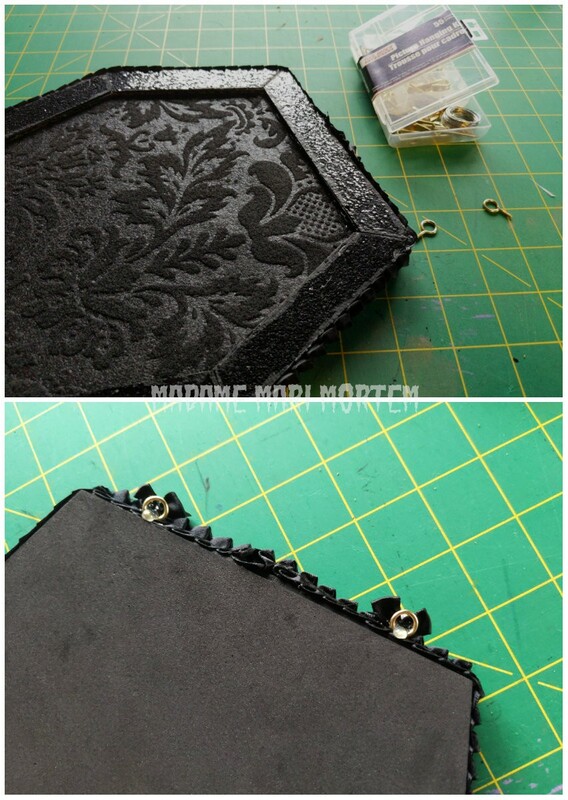 First glue on your felt, making sure the pretty side of the felt shows with the front pretty side of your felt. 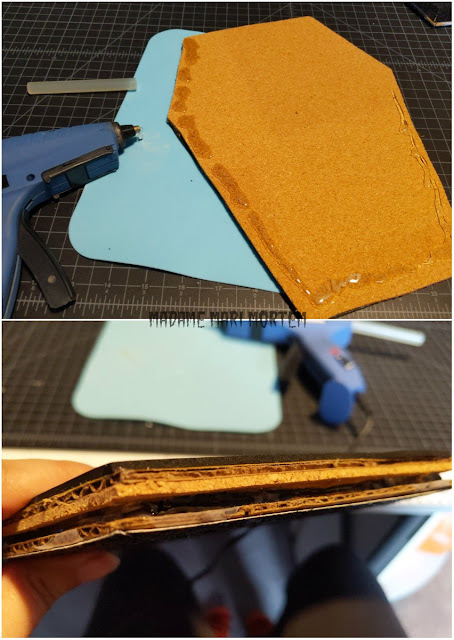 Make sure to stretch each side slightly as you glue, so it ends up being slightly taut, being careful to glue close to the inner edge but not close enough where the glue squishes out sloppily onto the felt. 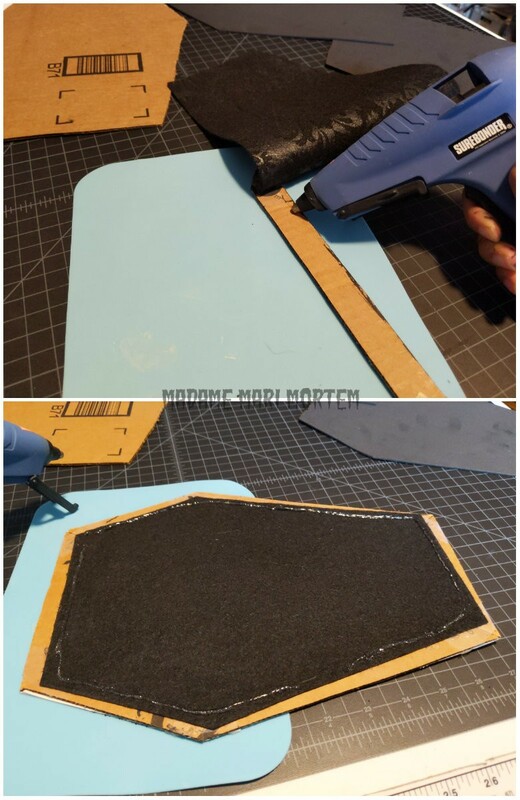 Then glue on the foam onto the felt backside-- no need to be careful here. You're finished one side now! 16.) 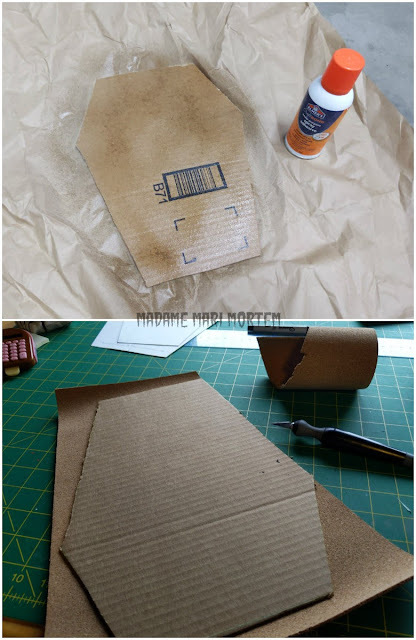 Take your large coffin cardboard base and spray glue and roll out your cork sheeting to attach to one side of it. You'll need to smooth out the cork if you're using from a roll as it'll want to wrassle you with bubbling. I just stepped on it (lol), but you can use a rolling pin or a painters roller without the sponge. 17.) Trim off excess cork with hobby knife. 18.) Spray glue to the other side and carefully match up your large foam piece and attach it. Roll it out to remove any bubbling that might've occurred. You should now have a two-sided coffin base piece with one side cork, the other side craft foam. We're almost to the best part! Being very liberal with your glue, apply a "border" of hot glue on the cork side of your base piece. Trying your best to be very quick and accurate, attach the front part of your board with the foam back side piece against the cork. You don't want any glue on the center, as it would hinder the ability to stick your pins onto it if there's a glob of glue in the way. 20.) Your board is assembled, with the pretty front side, and a foam back side. There will be a gap caused by the felt and foam between your top most layer of the front piece and your base piece. 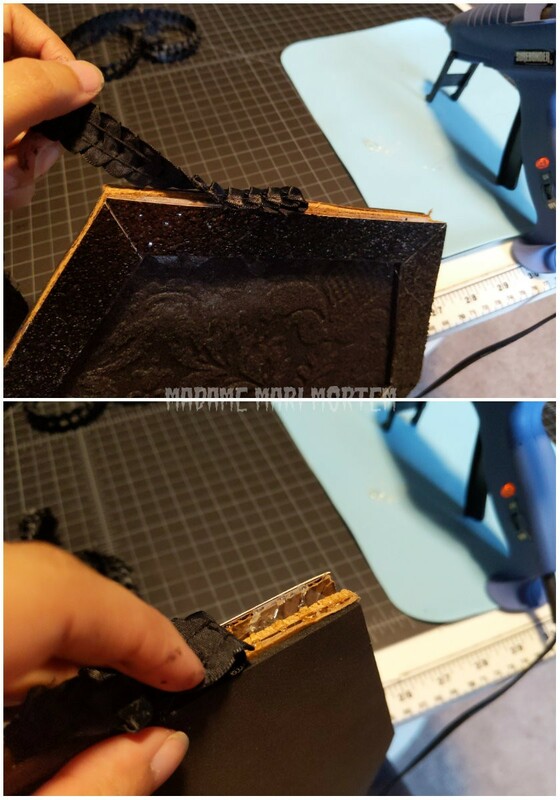 You will want to fill this gap with hot glue being careful not to overflow or spill onto any side. 21.) 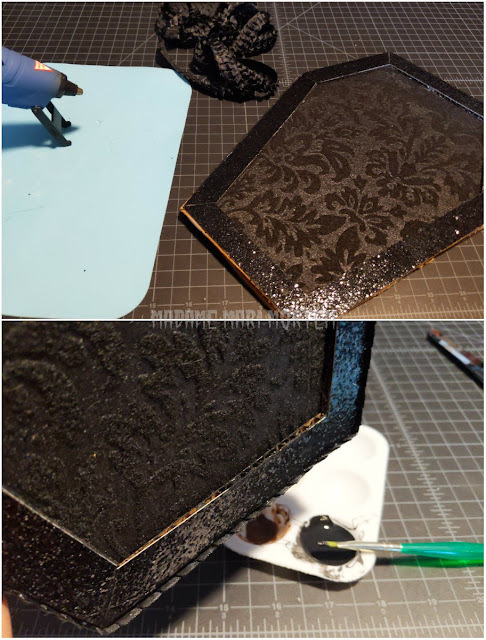 If you didn't end up painting the border (like I did) you'll want to touch up anything that looks off-- any cardboard that's peeking, the whites of the scrapbook paper. Blend it all in. 22.) Now you'll want to attach your 5/8 inch ribbon border! I chose the top to start attaching my border, but I highly recommend starting at the center bottom. To make a clean "seam", I folded in roughly 5/8ths of an inch of the ribbon onto itself so that no raw edge shows up. 23.) The best way I found to attach the rest to the now-thick-edge of the pin board is to lattice your hot glue dabs, being very very careful not to get any excess onto any side, working in small sections and taking your time to avoid hot glue silk strings-- hot glue spillage here will make the end result look cheap, and although it is... we definitely don't want it to look it. Once I reached the beginning again, I did the same as step 22, folding in a section on itself. 24.) Taking your picture hanging kit (hah! Now who has the last laugh? I buy them just because and its come in hand! The S.O. always gives me heck about buying them) take some of the screw rings and punch them through the ribbon and layers securing with a dab of hot glue. The back I kept meh-looking, but I attached ribbons to the front side. I will likely go back and paint the raw glue with acrylic paint. Woohoo! The best part is now! 25.) Time to decorate! Use whatever how ever here, be creative! 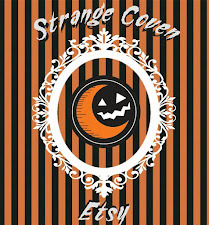 I had some halloween plasitc charmed ribbon I bought from Dollar tree one spooky season. I didn't think I would ever find a use, but I cut out one of the charms to add to a lace bat I machine embroidered, that went on top of some basic black satin ribbon, twisting into a pretty flow and anchoring with the tiniest dab of hot glue. 25.) Attach a ribbon or string to the screw rings, add pins, and hang! 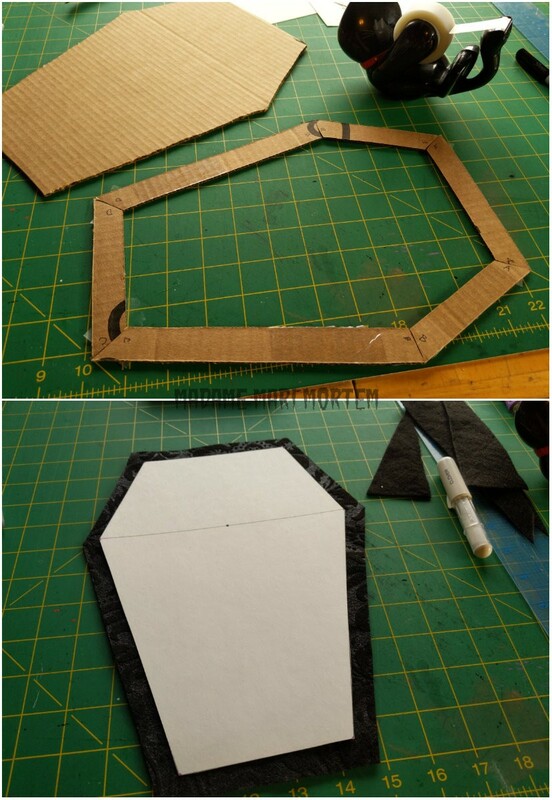 Your very own made-on-the-cheap-but-doesn't-look-it Coffin Pin Board. It's got a wonderful quality feeling weight to it, you will be surprised! Great tutorial, beautiful finished product (probably much nicer than the $30 one, I'd wager) and let me just say ... 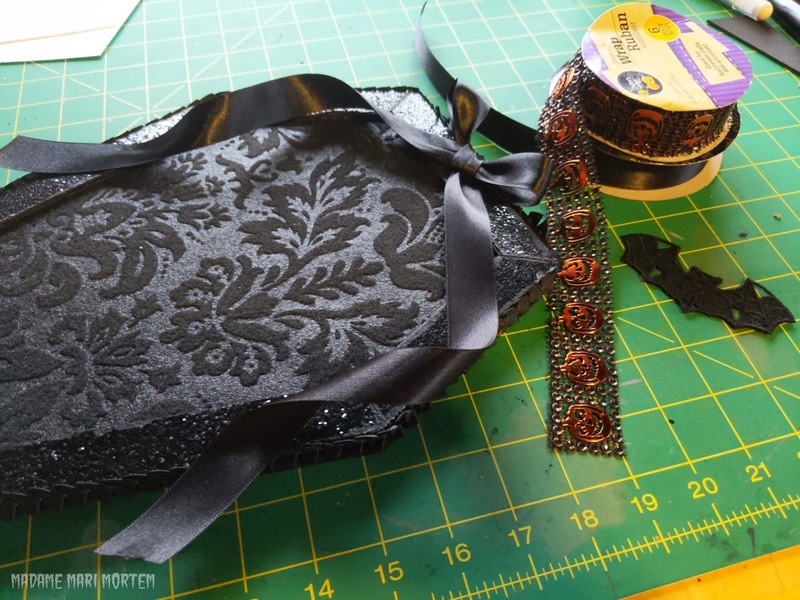 THEY MAKE BLACK FELT WITH DAMASK PATTERNS? WHERE HAVE I BEEN?!!! LIVING UNDER A ROCK??? I love this pin board it's such a gorgeous and bargin project. It's beautiful. 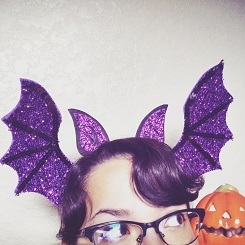 Collector, lover, enthusiast of gaming, crafts and Hallowe'en. 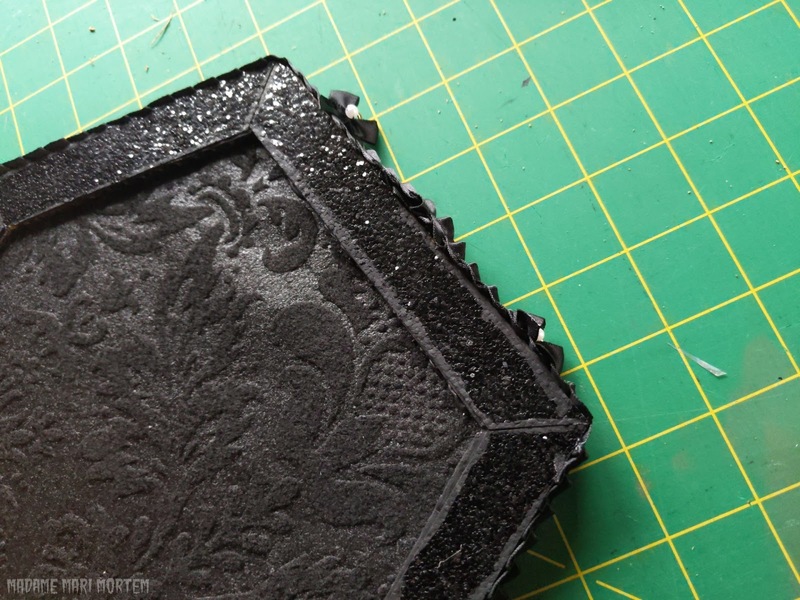 Tales of Trial and Terror: DIY Mold Making For Dummies By A Dummy. 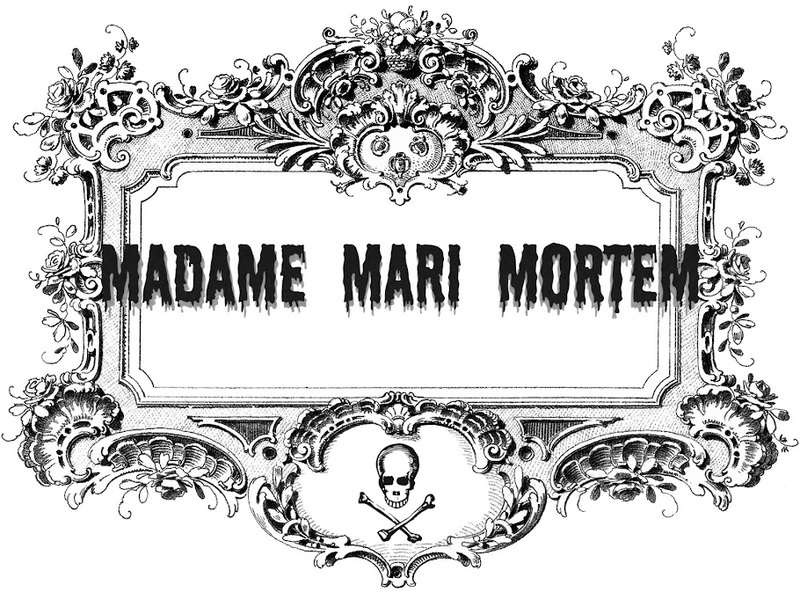 All images and designs copyright Madame Mari Mortem©. All other images rights reserved. Brianzawall. Ethereal theme. Powered by Blogger.